There are 131 vehicles that match your search. Looking for your next vehicle and interested in purchasing a used Citroen car? You can buy with confidence from our sales staff at Howards Motor Group. 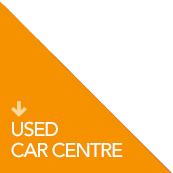 We stock a wide range of used cars that will fit anyone's needs. Tell our sales staff what you need and want from a car and they’ll show you round our used car dealership and point out the perfect car for you! This French car brand is renowned for their quality in manufacturing, style and design; this is testament to the models that are on our UK roads today. As the brand comes up to its 100 year anniversary they keep catering to everyone's automotive needs. This is why Howards stock the Citroen brand as they are reliable and stylish cars. Looking for a city car then look no further than the DS 3 for that sporty look, want to be eco-friendly take a look at the C1 or C1 Zero to go 100% electric. Citroen provide a huge range of family cars from the DS 4 to the larger people carriers such at the Grand C4 Picasso, C3 Picasso and the Berlingo Multispace. Do you want to turn heads in your next car? Try the unique crossover car the C4 Cactus. Citroen also do luxury and elegance in their executive range, you’ll love the feel of the DS 5, C4 and the C5 Tourer. Whatever you're looking for Howards will have it in our used Citroen stock. You can drive away with the knowledge that your new used car has gone through a thorough inspection, not just the mechanics of the car but also its history. This means that we’re 100% happy that you the customer, will love your new used car purchase. Pop into one of our used Citroen dealerships in Weston-super-Mare or Taunton and let our sales team find you the right car. We look forward to seeing you soon!